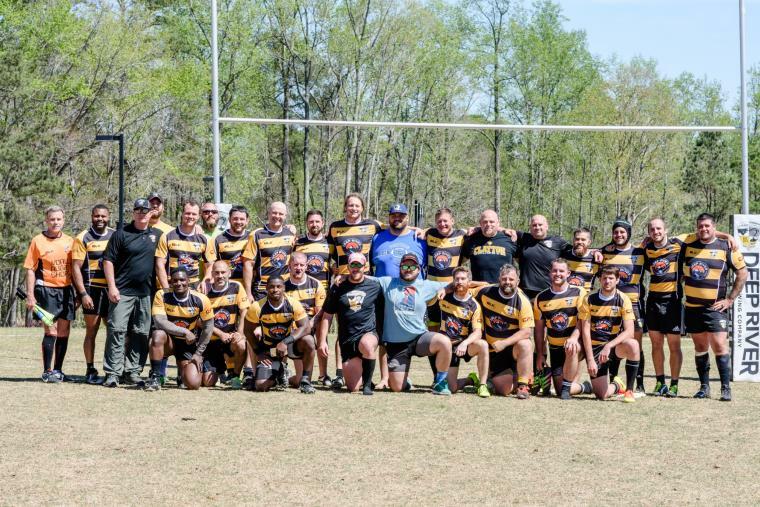 Did you know that Johnston County has a Rugby team? Well, it does. The Bootleggers. Appropriate for this area, no? 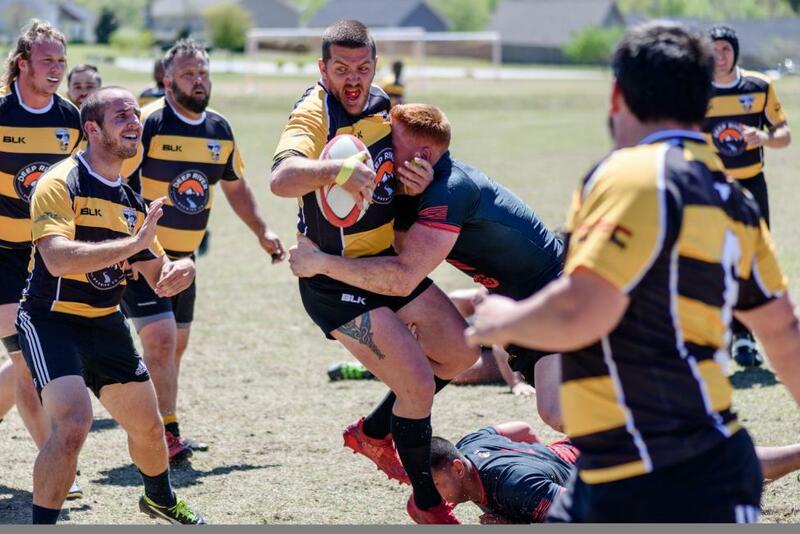 Established in 2013 the Clayton Rugby Football Club, or the Clayton RFC, is one of the fastest growing club teams in the USA. In fact, the Bootleggers just added a U20 squad (players between 18-22). This adds to a team roster that already includes men’s Division 3 and 4 teams and an Old Boys (35 & over) team. I spoke to club President Ted Hardy about how far the club has come and about the serious (dare we say professional?) goals they have for the future. Let’s talk first about the major news coming out of the club in the last few months. You guys have been working on an impressive partnership with the Glasgow Warriors. That’s a professional European rugby team. That’s incredible! There can’t be too many small-town USA club teams that can boast that sort of network? So, what are the logistics of this partnership? Updated: "Our development partnerships in Scotland continue to grow. The information, advice, and guidance we&apos;ve received has been invaluable. We&apos;re currently looking at replicating a festival that one of the clubs we&apos;re involved with runs successfully each year. We&apos;re also trying to get a couple of younger players placed, short term, with Scottish clubs to help accelerate their development and allow them to experience a different culture. The Clayton RFC is going on tour to Scotland in September of 2019 and we expect to play 2-3 games while we&apos;re there." What does your partnership with clubs abroad, that aren’t professional teams, look like? I don’t know much about rugby but it seems like the momentum that Clayton RFC is building is lightyears beyond what I’d except from a rural club just a few years old. Updated: "As far as the club goes, the facility project is first and foremost on our "to-do" list. Outside of that, we want to continue to progress with our teams on the pitch. Our 1st XV made the Carolinas Division 3 playoffs for the first time in club history this past season. Our 2nd XV (developmental team) also finished with a winning record for the first time in their history. We&apos;re working to add a U23 team to our programs to help post-HS and college players with the transition to Men&apos;s rugby. It&apos;s been slow progress with that group, so we&apos;re trying to find ways to bring more players from that age group to our club. We also launched our youth partnership program with Wilson&apos;s Mills. It was an all in-house youth rugby program. We honestly didn&apos;t expect more than 25-30 kids to register, but we ended up with almost 50 so we&apos;re very excited about the future of that program. 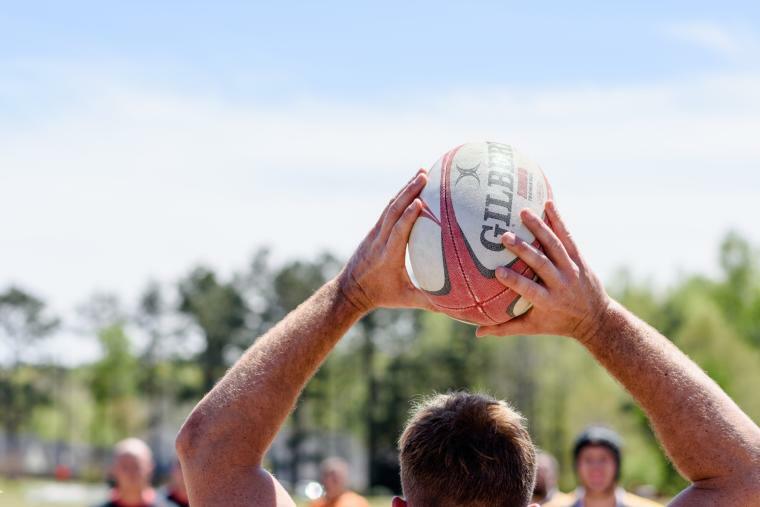 We can&apos;t wait to have the program out at the Johnston County Rugby Park next year." So, you’re starting a U20 team. How do you decide when to add teams or program options in the club? Aside from the growth in teams and participants, what else is on the horizon for the club? Updated: "Development on the Johnston County Rugby Park has finally commenced. We broke ground this spring and now have all of our permits in place to kick things into gear. We&apos;re currently in the process of installing all of the erosion control measures at the park which we hope to have completed by the end of June. Once that is completed and approved by the State of North Carolina, the grading begins at the park. Our goal is to have the park graded and seeded by August. We plan to have an opening ceremony at the park sometime in November, but don&apos;t expect to play any rugby out there until March. We could potentially play out there in the fall, but we&apos;d prefer to let the fields sit for another 4-5 months to allow time for the grass to take root and prosper. The Bootleggers are likely going to play mostly road games this fall, so that we can roll out a full slate of home games in the spring." This project seems like an excellent opportunity for all involved. We here at the Visitors Bureau of course love it when something brings in tourists (like visiting sports teams and fans). But, this partnership will also be about what the Bootleggers can bring to your community. What’s the ultimate goal in regards to that? 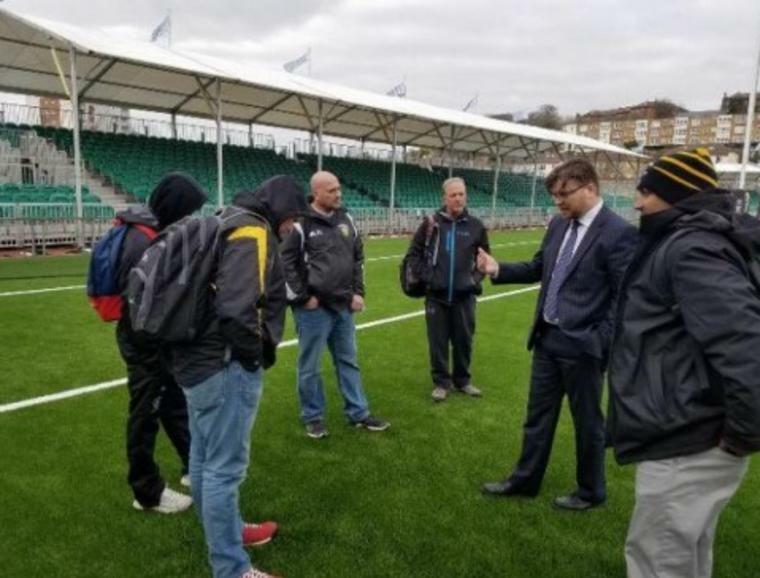 On the flipside of that, it seems like the ultimate goal of Clayton RFC is to make your home turf an attractive and professional location to play rugby. What could this new facility mean for hosting major rugby events? As a club, do you think your ultimate dream is to be North Carolina’s first professional rugby team? "The CottonTown 7s is just a month away on July 14th. The all day tournament runs from 9am-5pm at East Clayton Community Park. We&apos;re expecting it to be bigger than last year. We&apos;ve brought on The Redneck BBQ Lab as the Official Food Sponsor of this year&apos;s event. We also have drinks/snack concessions, a DJ, and rugby merchandise pop up shop from World Rugby Shop to go along with all of our Clayton Rugby and CottonTown 7s merchandise. We have KONA Ice coming out to keep everyone refreshed and we&apos;re also working on adding a Kid&apos;s Zone with rugby balls, passing targets, and tackling dummies for the children to have fun with. We have three divisions again this season... Men, Women, and High School Boys. Our Men&apos;s Division has almost maxed out already and both the Women&apos;s and HS Divisions are half full. We had 30 teams at last year&apos;s event and expect to have at least that many this year. We can accommodate 36 teams at max capacity, so we&apos;re not far off that mark." If you’re interested in learning more about the Clayton Rugby Football Club, or maybe becoming a Bootlegger yourself, visit their website - www.claytonrfc.com.